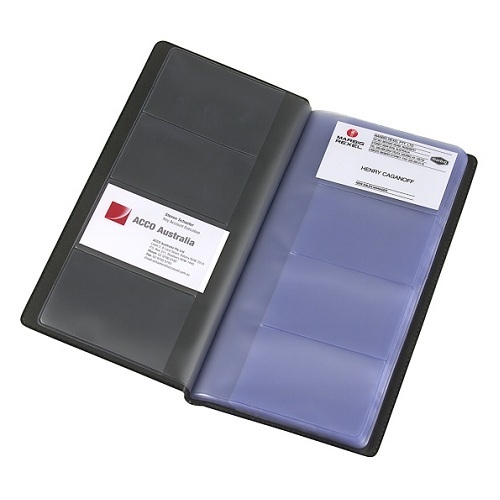 The Kwik Zip® business card holder comes complete with 12 pages to hold 96 cards. 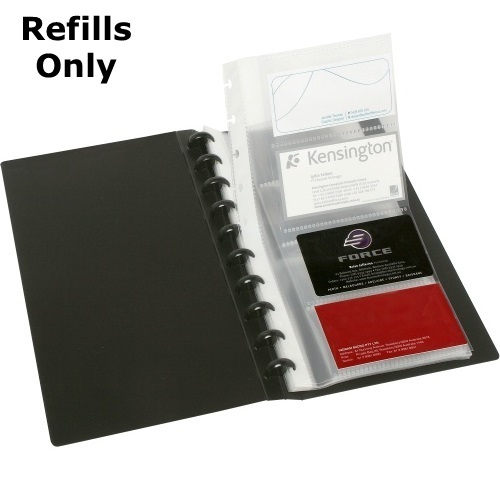 The unique Kwik Zip action allows you to easily remove, replace and interchange pockets without having to undo the whole book. 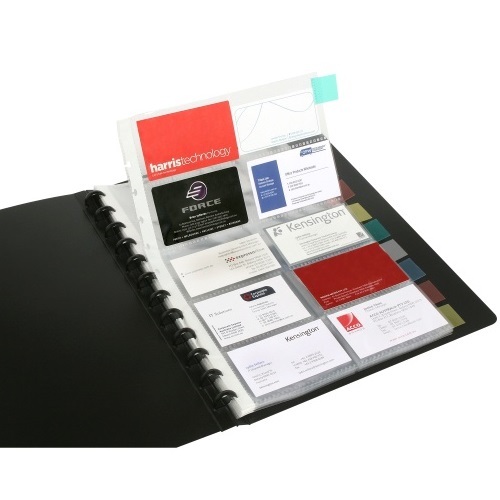 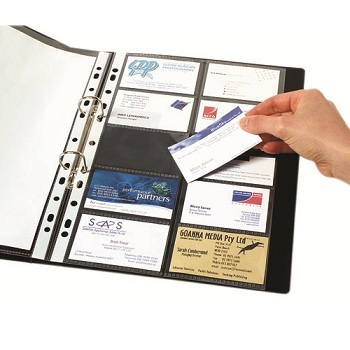 The Kwik Zip® business card book is A4 size and comes with 10 pages to hold 200 cards. 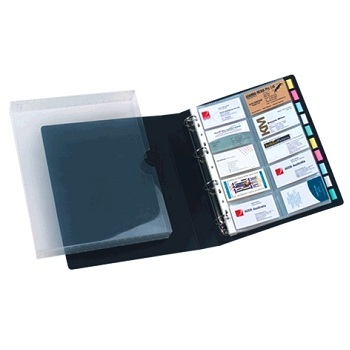 Each page has an index tab to allow for easy identification of contents. Capacity can be doubled with Kwik Zip Refills (20610). 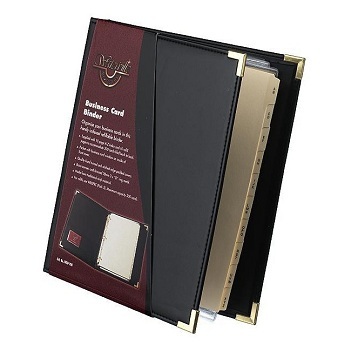 Colour - Black with brass corners. 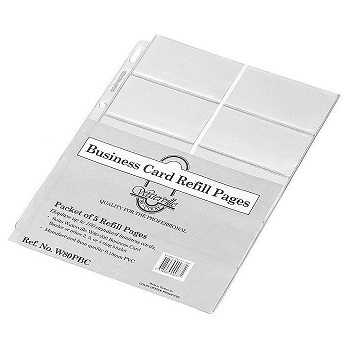 Pack of 5 Clear Business Card Refill pages.